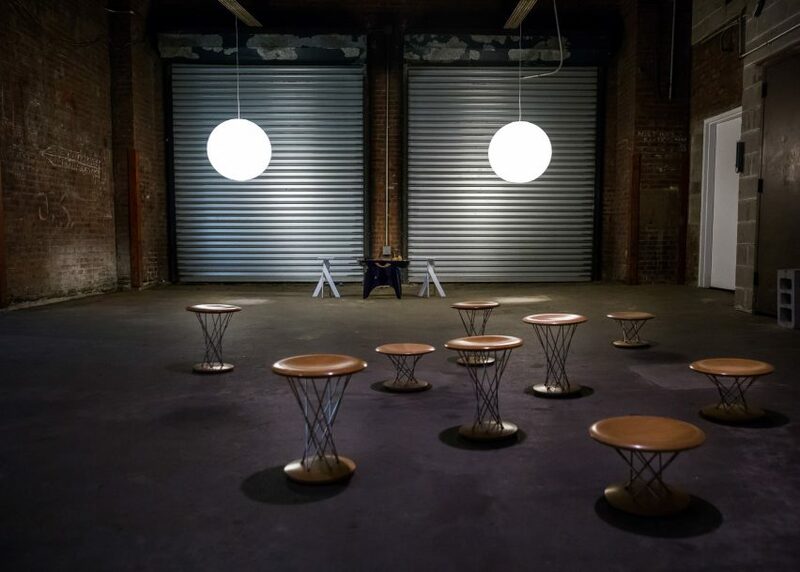 Icy tables and electric wallpaper are among US editor Dan Howarth's pick of the best furniture and installations from the Collective Design fair, taking place in New York this week. Collective Design has returned to New York for its fifth edition, bringing together a curated selection of design-focused galleries from around the world. Their booths are mixed with site-specific installations by local designers and museums. This year's fair runs from 3 to 7 May 2017 at Skylight Clarkson Square, 550 Washington Street, New York, as part of the citywide NYCxDesign festival continuing until 23 June 2017. 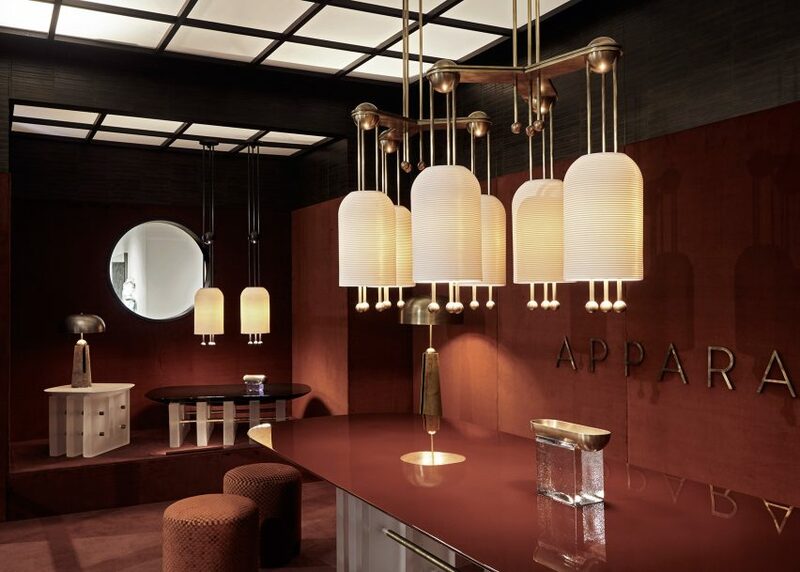 Rusty reds dominate Apparatus' installation, in which the New York studio is presenting new furniture and lighting in a seemingly East Asian-inspired setting. 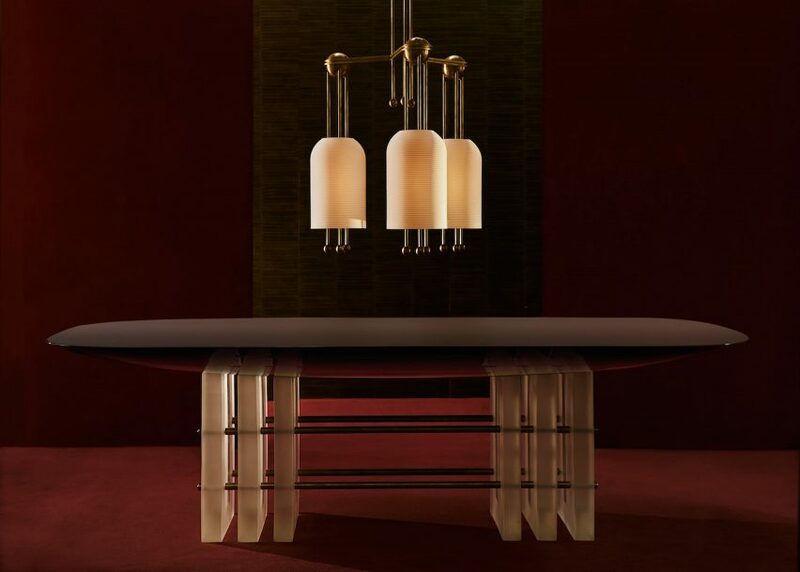 Tables have translucent resin blocks for bases and lacquered tops that match the booth's colour scheme. A ribbed bell-shaped light shade made from slip-cast porcelain is repeated in a variety of lighting configurations, each with metal fixtures that coordinate with other new lamps in the brand's range. 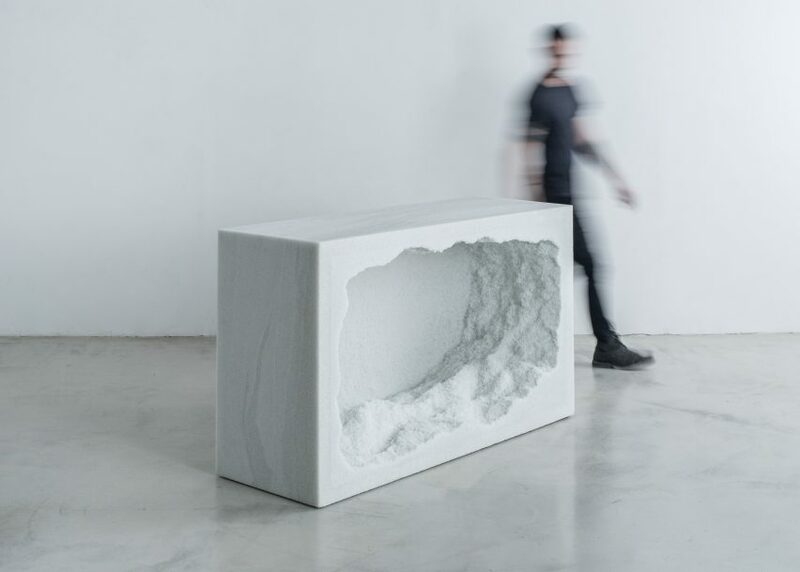 Fresh off the back of a solo show in Greenwich Village, New York designer Fernando Mastrangelo is debuting a set of furniture and wall-mountable pieces. His two collections at Collective come in an arctic palette. They are aptly named Ghost and Thaw – a departure from the pastel hues of his previous collections. However they are made using a similar processing of layering various granular materials and setting them with resin. 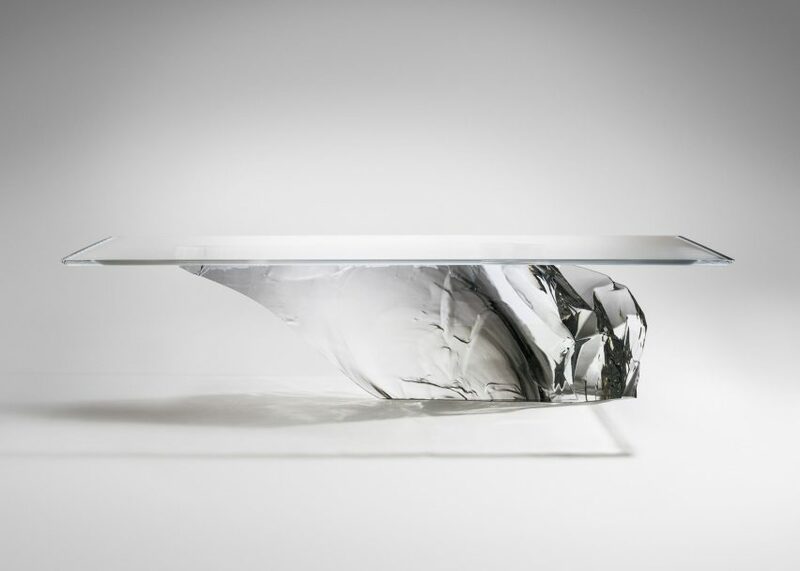 Icy forms were also an influence for some of UK studio Fredrikson Stallard's furniture titled Antarctica. A dining table base and a set of stools are shaped as if hewn from glaciers, while another new range by the designers comprises modular shelving with thin ledges that are uneven underneath. Presented by long-time representatives London-based David Gill Gallery, the new pieces are shown alongside designs including the burgundy-coloured Species sofa that looks like a chunk of rock. 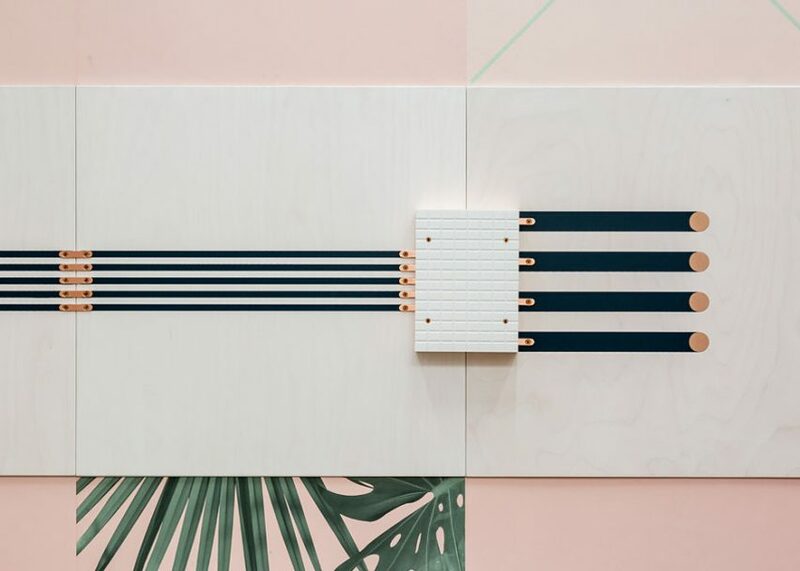 Wallpaper brand Flavor Paper has collaborated with furniture company UM Project to create an installation comprising wall tiles decorated with conductive inks, spread across a millennial pink backdrop. 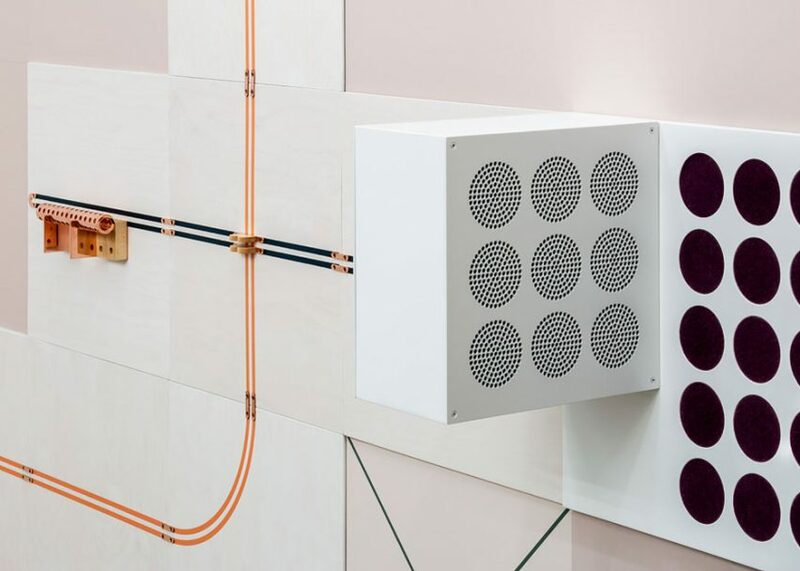 The lines form a series of electrical circuits around the booth, which connect to audio, visual and kinetic outputs like speakers, lights and fans. Touch-sensitive panels trigger the circuits, while physical elements like copper tubes can be removed to break the flow of the current. 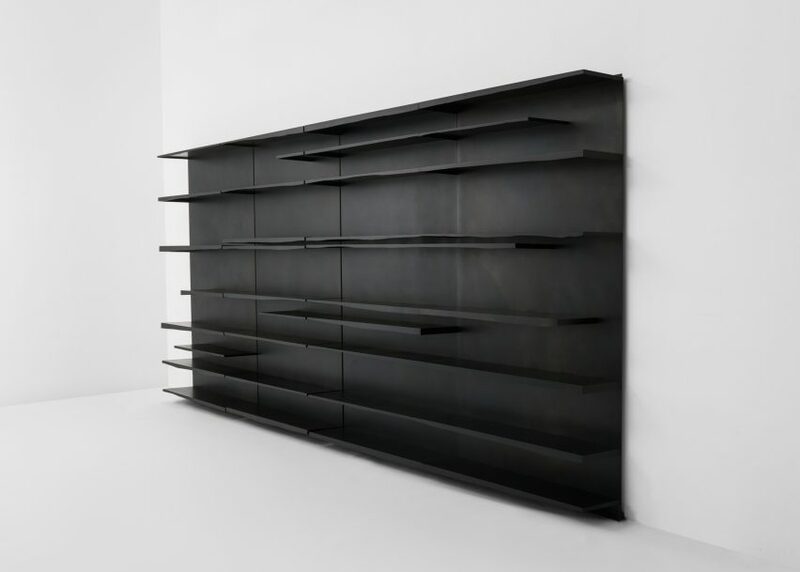 Designs that teeter between furniture and sculpture, by Robert Stadler and Isamu Noguchi, are brought together to examine the relationships between the two artists' work – coinciding with the recent opening of an exhibition that also pairs their designs, at the late Japanese-American artist's museum in Queens. 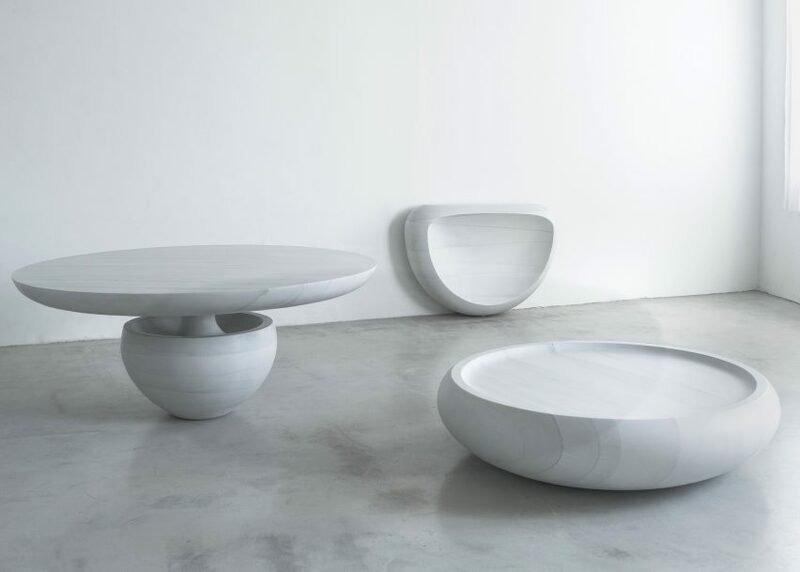 Furniture from Paris-based Stadler's 2008 Tephra Formations series, which looks like melted versions of Chesterfield chairs and sofas, is shown with Noguchi's stone sculptures that similarly evoke landscapes. All are exhibited against the bare concrete floors and cinder-block walls of a former loading dock at the Clarkson Square venue. To celebrate the introduction of redwood into its lighting range, New York brand Stickbulb has installed an arch of over 150 slats made from the wood that support a set of illuminated tube lights. 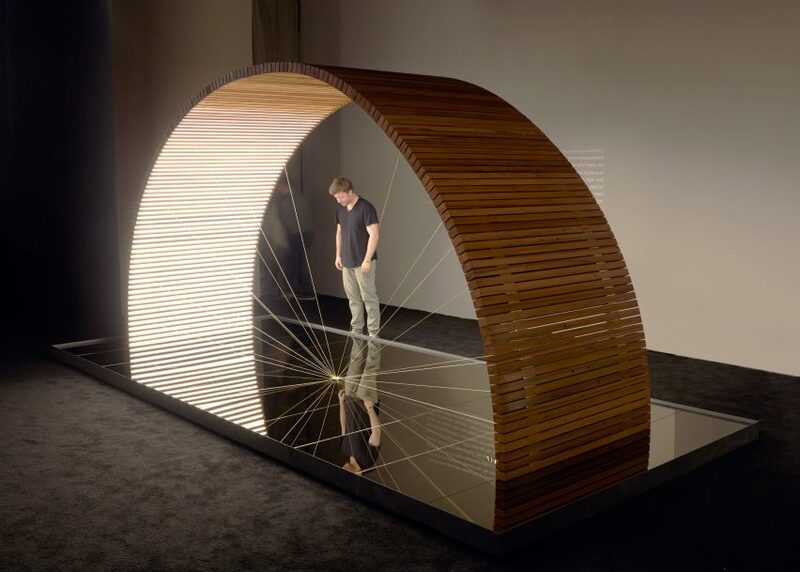 The Ambassador installation sits on a bronzed mirror base that reflects the semi-circular shape so it appears as a complete ring, intended to evoke both a section of the giant trees, and the defunct New York water tower from which the wood was sourced.